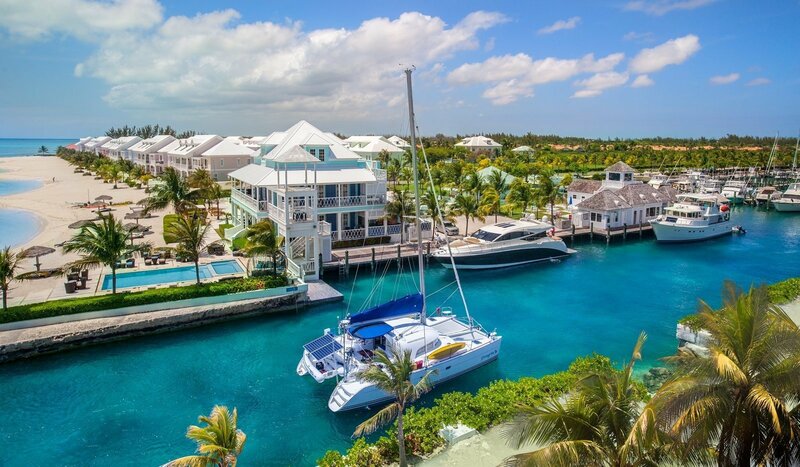 If you are looking to charter in the Bahamas, find us at Palm Cay Marina, Nassau, located just 28 miles from the Exumas. Enjoy the marina’s five-star facilities, where you can provision at the grocery story, grab a coffee from Starbucks and make the most of the tennis courts, pools and free kayaks and paddle boards. Find out more about the Exumas and our bareboat fleet. The Bahamas is an easy short haul destination and you can fly direct to Lynden Pindling International Airport (NAS), Nassau, with Delta, United, American and Air Canada airlines. It’s just a short taxi ride to the marina and we can help organize transfers for you.